This video will help answer your questions about the SA Home Battery Scheme and how you can access your Government subsidy of up to $6,000 for home battery storage. Heard about the South Australian Home Battery Scheme and want to know more? Interested in battery storage for your home but don’t know what brand to choose? Ready to invest in all the benefits of home battery storage but not sure which provider to trust? Filmed in front of 150 passionate South Australians at the Flinders University Tonsley campus and supported by Flinders University New Venture Institute, this presentation of ZEN Energy Presents the SA Home Battery Scheme brings you exclusive access to information about the subsidy scheme, the products available, installation, and finance options. 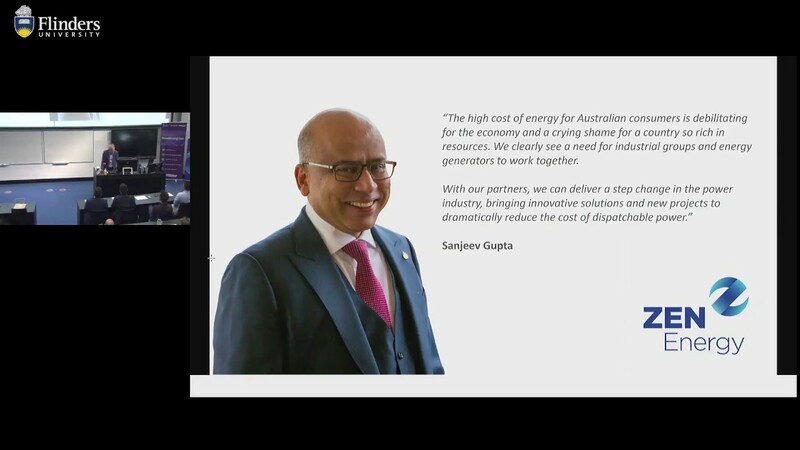 This presentation is all part of ZEN Energy’s commitment to keeping our community informed and providing access to the major players in the solar and battery storage industry. Watch the full recording of the presentation below. And if you are ready to access your subsidy today, make sure you request your quote. Interested in a quote for the latest battery storage technology? Request it here.